For many owners and operators, a loader offers the best combination of performance, versatility and comfort. However, you may have unique needs that require a different machine. Perhaps you frequently work in confined areas that require hand labor. For these jobs, you might want to consider a mini track loader. Here's an overview. With a mini track loader, you can take on a variety of jobs. 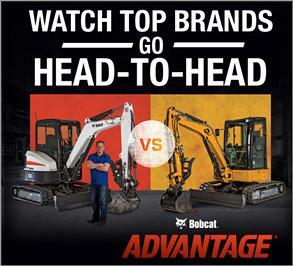 Despite their “mini” status, these machines provide impressive performance for your limited-access tasks. • Narrow frame: When a doorway, fence gate or another obstruction prevents access by larger equipment, a mini track loader is an excellent alternative. Mini track loaders are designed with small spaces in mind, giving you handy access when other equipment doesn't fit. 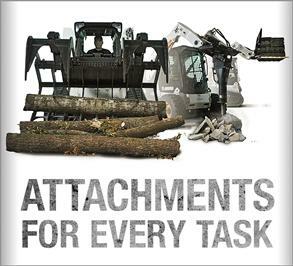 • Attachment options: Prepare ground with a landplane, soil conditioner or tiller. Remove concrete with a hydraulic breaker. Perform underground tasks with a trencher or vibratory plow. Remove materials with a utility grapple or combination bucket. Lift and carry pallets of landscaping pavers. • Low ground disturbance: Durable rubber tracks help distribute the loader's weight over a larger area to reduce ground pressure and minimize damage to sensitive surfaces. 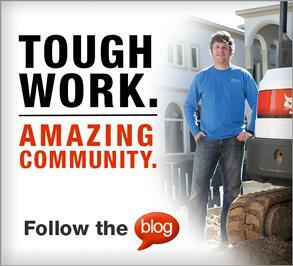 Keep working in soft, wet or muddy conditions. • Convenience: With no cab to enter or exit, operators receive the advantages of an open concept. Easily stop or resume tasks, and see your work area. • Visibility: Because you stand behind the machine, you have an excellent 360- degree view of your work area. If you won't use a mini track loader frequently, consider renting a machine for a project. They are easy to operate and transport. Landscapers frequently use mini track loaders for turf maintenance, tree and shrub care, fencing, irrigation and tree/stump removal. Other common uses include golf course projects, snow removal and building/grounds maintenance. 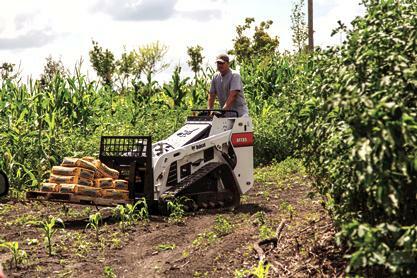 A skid-steer or compact track loader still may be your ideal everyday machine. But for the right projects and tasks, it's tough to beat a mini track loader.